Study after study has proven what we eat is directly linked to how we feel. Even Hippocrates, the father of modern medicine, said "Let food be your medicine, and medicine be your food." While I'm thankful that now there are significantly more advanced medicines out there, I don't discount the philosopher's wise words. So, I've taken the liberty of gathering some healthy and delicious recipes from one of nature's most delicious superfoods--the avocado--to add in an extra nutritious powered punch to your diet. Avocados are a quick summer fix--the green creamy, delicious superfood is readily available year round but is especially delicious in the summertime. Avocados are rich in both fat and nutrients, meaning that not only are they filling to eat, but they also can improve your overall health. 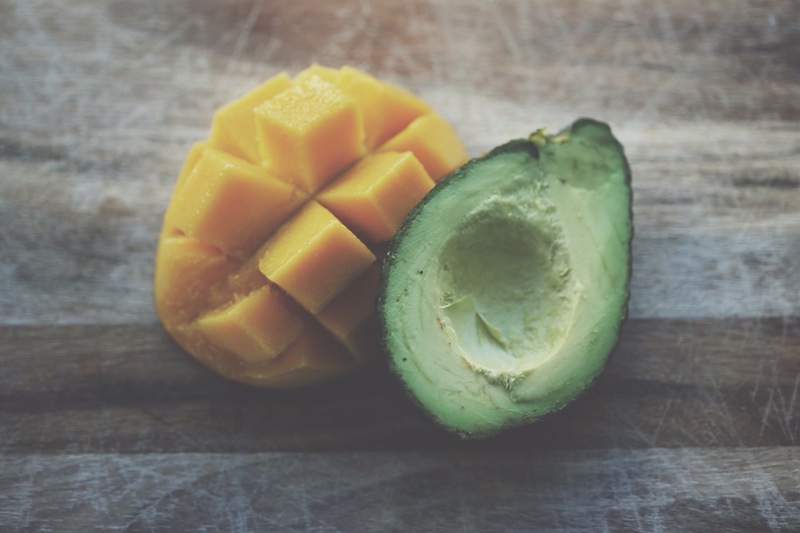 Avocados have been scientifically provento act as an anti-inflammatory, lower cholesterol, and enable the body to better absorb the nutrients from the other foods. 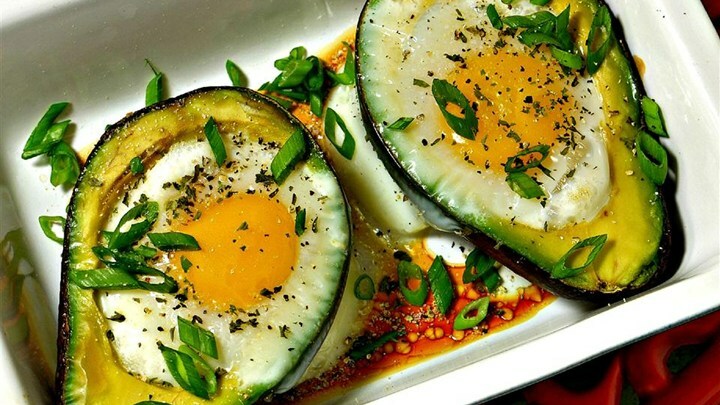 So, here are five easy avocado recipes to get us in a healthy swing this summer. The Avocado-Lettuce-Tomato (ALT) is a simple modification from the tried and true BLT. Substitute avocado for bacon and--voila! 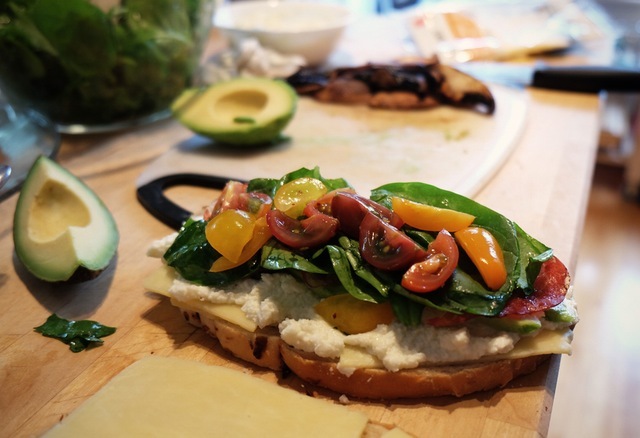 You've got yourself a healthy take on the classic summer sandwich. It's pretty simple to construct: toast whole wheat bread and layer on thin slices of avocado, cuts of tomato, and your favorite type of lettuce. Dress lightly with mayo or mustard if desired. Pro tip: I love to add sprouts and cucumbers to this sandwich for extra crunch. Mmm. This quick meal is a no-cook recipe for those mornings (or even afternoons) when you're on the go and don't have time to make a full meal, but still want something substantial. To make avocado toast, first take a fork and lightly mash the avocado in a bowl. Then, add a pinch of garlic salt and a squeeze of lemon. 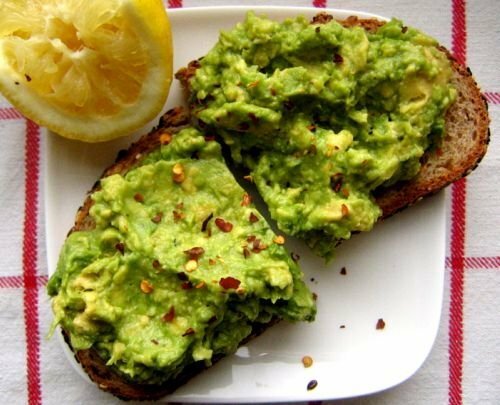 Spread the avocado mix on the toast, sprinkle pepper on top and you've got yourself a meal. Got a sweet tooth? Top with a drizzle of honey.Looking for something more substantial? Add a fried egg. Pro tip: Use the side of the avocado with no pit for the toast, and wrap the pitted half in plastic to save in the fridge. Leaving the pit in the avocado will help it stay green and ripe for longer. Yes, you can even eat avocados in soup. It might sound a little weird, but trust me on this one. We loved this recipe from the food blog Merely Marie. 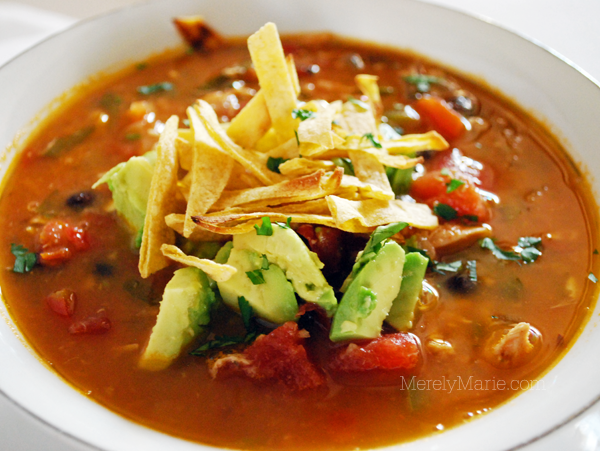 This recipe makes a soup that's filling, flavorful, and ready to eat in 30 minutes. The lean protein from the chicken and the tortilla chip crunch makes this the perfect summer dinner. If you're a fan of fish, this recipe is for you. 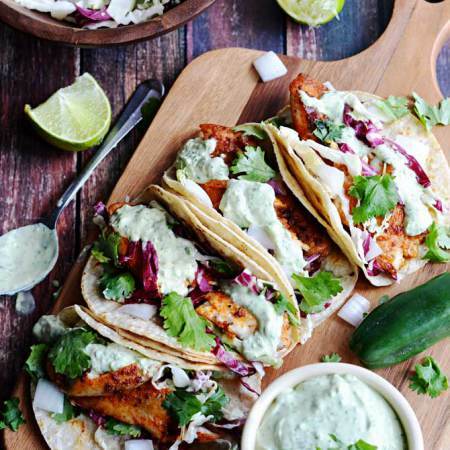 Fish tacos with perfectly seasoned Tilapia (or other light flakey fish) and thick hunks of avocado makes for a healthy and festive dinner. One of the things I like most about this recipe is that there are so many ways to go about making it. If you're in more of a rush, you can cover the tilapia in store-bought packets of taco spice. It you've got a little more time, you can make the spice rub yourself so it's just the way you like it. First, sauté the spice rubbed tilapia until it starts to become blackened and crispy. Then, lay the warm fish in soft taco shells. Finally--go crazy with toppings. I like to eat mine with diced tomatoes, chopped onions, lettuce, sour cream, cilantro and, of course, slices of avocado. For a recipe that features a home-made rub and avocado cilantro sauce, check out Host the Toast. And last but not least, is the Egg-in-a-Cado. I find this filling breakfast is both appealing to look at and to eat. It's also a nice, soft, filling food for those who require an easy to chew diet. All you have to do is scoop out the avocado pit, crack an egg in the newly created hole and then place in the oven at 425 degrees until the egg is cooked. Top with cracked pepper, chives and salt to taste. How easy is that? For a more detailed recipe, see step by step directions at Popsugar. At Wellist we're committed to improving the lives of patients and their families by making it easier to find and access the services they need most. We know that sometimes eating healthy can be hard. Some weeks, even a trip to the grocery store to get fresh fruits and vegetables might feel overwhelming. To help make even the craziest week more manageable, Wellist has compiled information about hundreds of grocery and meal delivery options so that our users always have access to healthy, fresh food. Looking for an in-depth guide to everything you'd ever want to know about avocados? Check it out here. Get healthy meals delivered to you, find nutritious meal plans, and discover if you qualify for free service. Sign up here for free to take the stress out of healthy meal prep. Want more? Follow us on Twitter and Facebook. Got a question about anything on the blog? E-mail me at lily@wellist.com.